After rainy days for the DTH providers post the introduction of the new Trai tariff regime, it seems as if the DTH providers are gearing up for a better season and this time it won’t be coming in the form of rule changes. Tata Sky and Airtel Digital TV are both providing free sports channels to the subscribers in this cricket season. In India, the Indian Premier League season is the time of celebration where the fans unite in front of the TV screens, and the benefits all go to the DTH providers. This period is also a very crucial time for the DTH companies to expand their reach as the attention is all towards the TV screens and the viewers remain glued to their TV screens supporting their respective teams. To take advantage of this season, DTH providers are already gearing up with their separate offers and schemes. Primarily, all the DTH providers have increased their reach by targeting regional users with their latest offers. Tata Sky subscribers have received a message which reads that they will be receiving Star Sports 1 Hindi, Star Sports 1 Tamil, Star Sports 1 Telugu, Star Sports 1 Kannada, and Start Sports 1 Bangla channels at no additional cost from March 23, 2019, to May 19, 2019. It is worth noting that by introducing this move, Tata Sky has made a very popular sports channel available in almost all major regional languages at free of cost. Also, these channels will be live on the subscribers’ accounts till the IPL season and they will be taken off on May 20, 2019, midnight. Keeping in mind the IPL season, Tata Sky has also launched a Family Sports HD pack which costs Rs 646 per month, and it will avail 96 channels to the subscribers including all sports channels from Star, Sony and more. The SD variant of the same pack has been priced at Rs 456. Following in the footsteps of Tata Sky, Airtel Digital TV has also announced that it will be providing free preview channels for existing users and new users in the IPL season. New DTH connection buyers of Airtel will get to enjoy complimentary Star Sports 1 and Star Sports 1 Hindi till May 19, 2019. 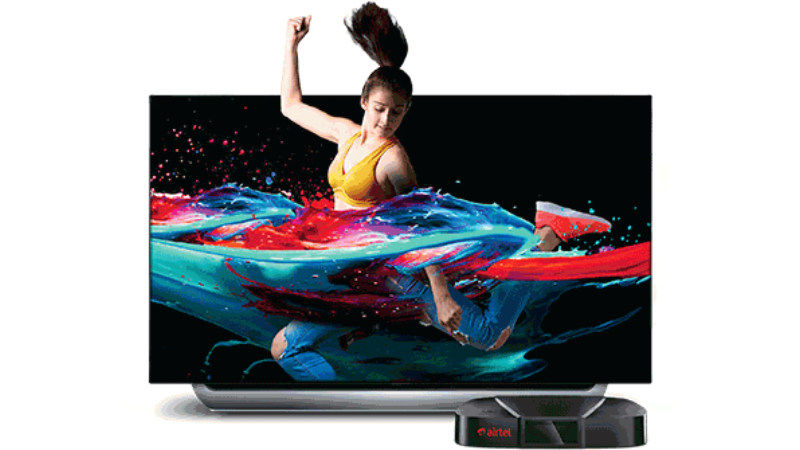 However, later Airtel Digital TV also informed that existing users would get additional channels which would include Star Sports 1, Star Sports 1 HD, Star, Sports 1 Hindi, Star Sports 1 Hindi HD, Star Sports 1 Telugu, Star Sports 1 Tamil, Star, Sports 1 Kannada and Star Sports 1 Bangla. On similar lines, although D2h has not introduced free preview channels for its subscribers, it has added a total of four new language feeds for Star Sports 2. These feeds will avail Star Sports 2 in Hindi, English, Tamil, Kannada and Bangla thus increasing the reach of the DTH provider. changes that make the greatest changes. Thanks for sharing!| I absolutely love your blog.. Pleasant colors & theme. Did you develop this site yourself? It?s the little changes which will make the most important changes. Dear Reader, yes I made site myself. I?d state. That is the very first time I frequented your website page and so far? Dear Reader, the hosting company is Hostgator. Dear Reader, thanks for the inputs, we are looking into this. I?d state. That is the very first time I frequented your website page and up to now? information I can’t wait to dig deep and start utilizing the resources you have given me. Greetings from Carolina! I?m bored at work so I decided to browse your website on my iphone during lunch break. I really like the information you provide here and can?t wait to take a look when I get home.